Assembled by each couple, these baskets full of their favorite things are truly one-of-a-kind. 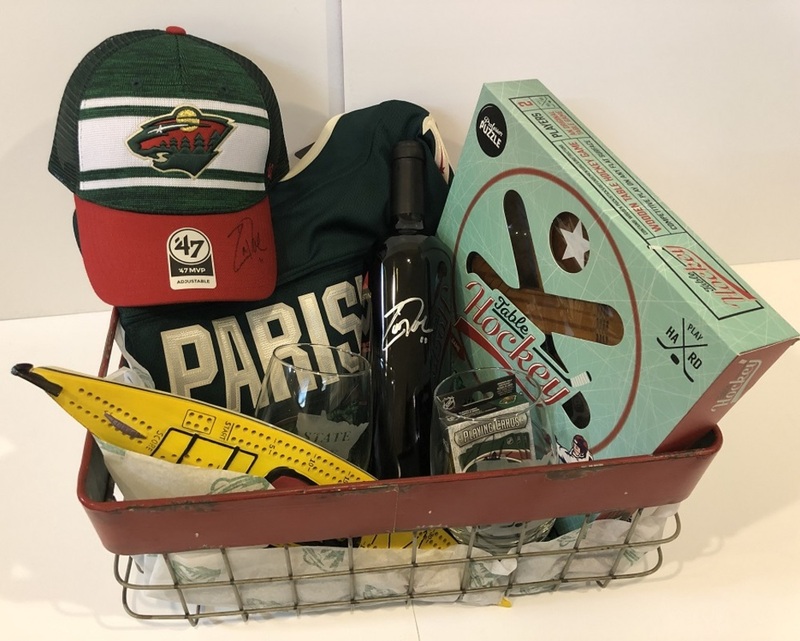 Zach and Alisha Parise's Minnesota themed basket includes: a sailboat cribbage board, a wooden table hockey game, an autographed green Wild hat, an autographed bottle of Justin Cabernet red wine, an autographed green Wild jersey (size large), a pair of stemless State of Hockey wine glasses, and an autographed set of Wild playing cards. Proceeds benefit Women's Advocates, a local domestic abuse shelter.